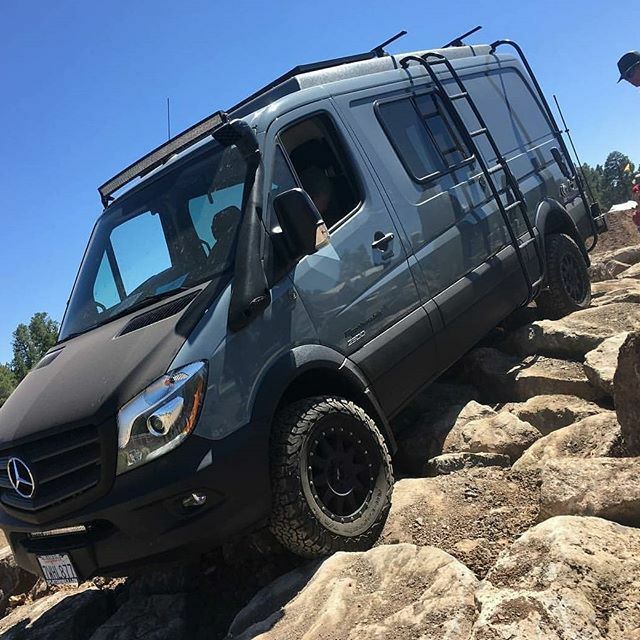 Did anyone see this at Overland Expo? Have you tested your Sprinter to this degree? While those are large rocks, they're very tightly packed, so the ride will be slow and bumpy, but not necessarily challenging except for some scrapes. That pic is also taken at an angle, so it exaggerates the steepness of the slope. That pic is also taken at an angle, so it exaggerates the steepness of the slope. Still more of a trail than you want to take most stock vehicles on, but yes there's a good dose of marketing going on there (just like most other vendors do). Here's a few pics of this year's course at Expo West.